The beautiful image shown is by friend and fabulous LA photographer Jay Goldman. It is a perfect example of how to open the mouth of chi (life force energy), to allow for vital energy to flow into your home. 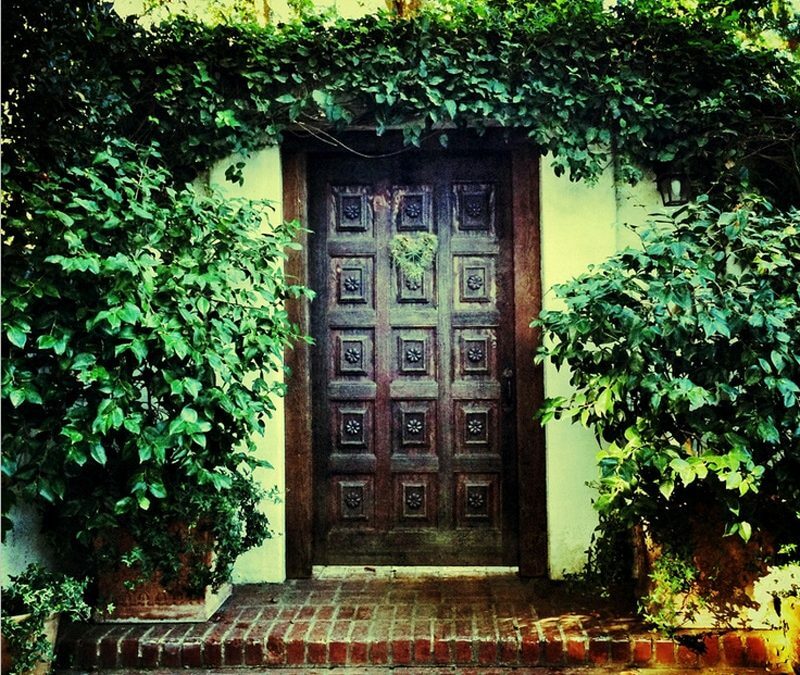 The reason for this is there are no visible obstacles that would block the door and the beauty of the door and surrounding plants pull you in visually, which navigates the flow of energy. We have all heard that the best feng shui door colors begin with the color RED. While Red doors are auspicious and perfect for south facing homes, there are many feng shui door colors that work well and understanding how to pair them with the directions is key. The color red stimulates chi and adds a protective quality. Having a beautiful wooden door like shown is perfect for Eastern or Southeast facing doors as it literal wood. You could also use the color green which represents the element of wood. If your front door is facing north, painting it black or indigo blue is wonderful as this area is associated with water. If you enter your front door from the west the color white is ideal, as well as creating an arched door or a circular shape to the design. Join our creative community. We would love to hear from you and are always available to answer any questions. Please send us any great new finds that you want to share or let us know about your own fabulous work.